The Oki C931dn A3 colour LED laser printer may be smaller than other colour laser printers but this workhorse has a maximum duty cycle of 300,000 pages. It delivers high quality documents in black or colour at quick speeds. The Oki C931dn colour printer has standard networking connectivity, making it easy for workgroups to share. The versatile Oki C931dn printer can handle a wide range of media and even banners as long as 52 inches. The Oki C931dn A3 colour printer measures 699 x 625 x 640mm and weighs 97.6kg. It features an organised control panel with large colour display, function buttons and navigation buttons. For paper handling, the Oki C931dn LED laser printer has a standard capacity of 830 sheets but optional trays are available to bring it to a maximum of 2,950 sheets. Ethernet and USB ports are on the unit. The Oki C931dn is integrated with 2GB of memory and runs on 1.2GHz. Each of the high capacity Oki C931dn toner cartridges can print up to 38,000 pages. 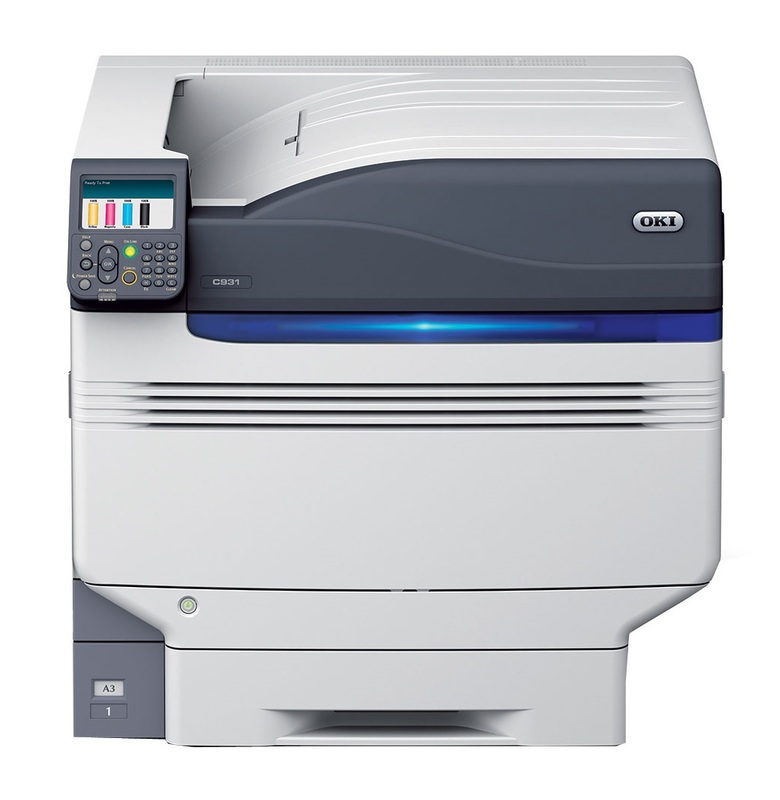 The impressive Oki C931dn colour LED printer delivers coloured and monochrome prints at 50ppm. It has flexible media handling and delivers precise and vivid colours making it ideal for advertising and more. For easy connectivity, it has standard Ethernet. The Oki C931dn laser printer also comes with a duplexer for automatic double-sided printing, which can reduce paper waste by7 up to 50%. With front access to image drums and toner cartridges, replacement and maintenance of the Oki C931dn colour printer's consumables is quick and easy. The C931dn colour laser printer would be better if it had standard Wi-Fi connectivity for easier sharing and for mobile printing support. The Oki C-931dn duplex network printer could also use a USB host for direct printing from thumb drives.